In a 2004 study led by the Japan International Cooperation Agency, it was found that a magnitude v7.2 earthquake in Metro Manila—stronger than the one that rocked Surigao del Norte—could cause around 33,500 deaths and more than 100,000 injuries. 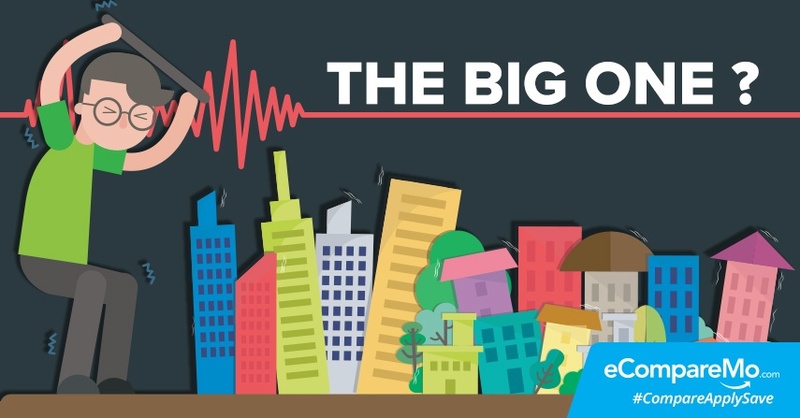 In light of last Friday’s earthquake, it is only time we asked ourselves: Are we ready for the “Big One”? What can we do to keep our properties safe and, ultimately, prevent the loss of lives? According to Phivolcs, we are sitting on a powder keg—and an earthquake may happen any time soon. In a recent report by the Philippine Star, Phivolcs director Renato Solidum warned that the West Valley Fault is ripe for movement. “Everyone must learn from the recent effects of the magnitude 6.7 earthquake in Surigao del Norte. If a similar event happens in a highly urbanized area, the effects can be more devastating,” Solidum told the media. The West Valley Fault, a 100-kilometer fault that courses from Bulacan to Laguna through some cities in Metro Manila, is said to have the capability to produce an earthquake with a higher magnitude than the one felt in Surigao. In addition, the West Valley Fault is said to move every 400 years. The last “Big One” generated by the said fault happened more than 350 years ago. Solidum, however, has made it clear that the movement of the Philippine Fault under Surigao won’t cause movement in the West Valley Fault. Unfortunately, only time can tell when the fault will move. Know the hazards. Knowing is half the battle. Finding out the potential risks in your area can allow you to think quickly. After years of extensive studies, Phivolcs is now offering the Valley Fault System (VFS) Atlas to the public for free. The atlas includes large-scale maps showing details about areas that are sitting on top of the fault itself. Participate in earthquake drills. Last year, local authorities conducted the Shake Drill, which aims to prepare officials, communities, and families in dealing with the “Big One.” Coordinate with your local government and remember where the evacuation areas are for easier road to safety. Make your home quake-proof. By knowing whether or not your home is earthquake-proof, you can make necessary adjustments to your home and plan ahead. Phivolcs, JICA, and the Association of Structural Engineers in the Philippines made a 12-point questionnaire that will allow people to assess whether their homes are earthquake ready or not. Set up a preparedness kit. In case of a life-endangering situation, you’ll need supplies that will last for at least 72 hours. The Philippine National Red Cross has prepared a list of items you should have in your survival kit. Get home insurance. Property insurance seekers can add an “acts of nature” clause (earthquake, typhoon, or flood) in their policy so they can be protected whatever unfortunate event happens to them. How are you preparing for the Big One? Share your disaster-preparedness tips in the comments.